At Toyota of North Charlotte, you’ll find that each Toyota Certified Used Car is also backed by a 7-year/100,000-mile Limited Powertrain Warranty (from the original date of first use when purchased as new). We also throw in a 1-year, 24-hour Roadside Assistance Plan (from the original date of first use when purchased as new). For even more peace of mind, an available Extended Vehicle Service Agreement is available; just ask one of our associates. Recent Updates Include: 3 brand-new Certified Platinum plans with coverage up to 8 years/125,000 miles. Additionally, Roadside Assistance has been added to the Platinum and Gold Plans. At our N. Charlotte Toyota dealership, only the best of the best Toyota used cars are chosen to be Toyota Certified Used Vehicles. 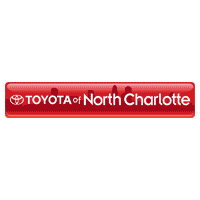 We’re proud to be a Toyota of North Charlotte Certified Vehicle destination. When we choose a Toyota used car for certification, we have to do a little investigative work. Not only do we put each Toyota used car through an exhaustive 160-Point Quality Assurance Inspection, but we also run a CARFAX Vehicle History Report to ensure it’s worthy of the Toyota Certification process. Each car is then reconditioned to Toyota’s exacting standards by factory-trained Toyota technicians. Why? We want the cars to look and feel as new as possible and we know you do, too. We believe this helps to maintain the car’s value, as well as create pride in the ownership of a Toyota Certified Used Car! No matter which Toyota Certified Used Car you purchase, you get the added security of 1-year, 24-hour Roadside Assistance. If you’re in the market to buy a used car, consider a Toyota Certified Used Car! Not only will you be purchasing a high quality vehicle that has all the elements Toyota is so famous for, you’re also getting a great deal of peace of mind. Buying a used car in Charlotte couldn’t be any easier… so take a look at our Toyota Certified Used Car selection today! **Whichever comes first from original date of first use when sold as new. See your Toyota Certified Used Vehicles dealer for warranty details. Program not available in Puerto Rico and Hawaii. For AL, FL, GA, NC & SC, warranty coverage differs in the following ways: 7-year or 100,000-mile Toyota Certified Limited Powertrain Warranty coverage begins on January 1st of the vehicle’s model year and zero (0) odometer miles and expires at the earlier of seven years or 100,000 odometer miles.